This entry was posted on July 4, 2011 by Megan @ When Harry Met Salad. 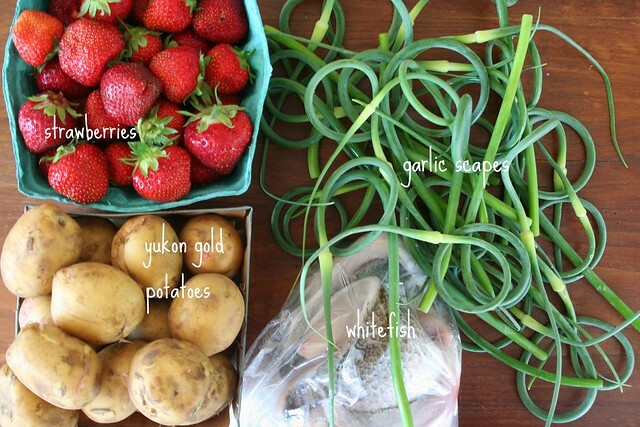 It was filed under farmers market and was tagged with farmers market, garlic scapes, potatoes, strawberries, summer, whitefish. I’ve heard garlic scape salad dressing is great, and scape pizza sound yummy too!